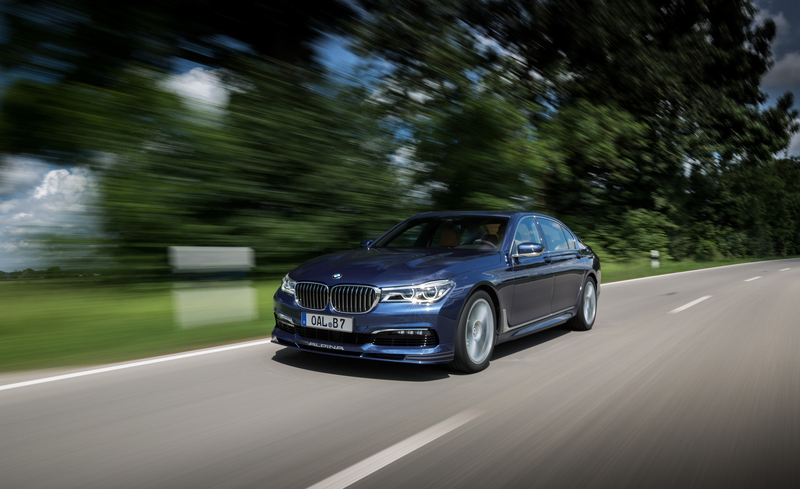 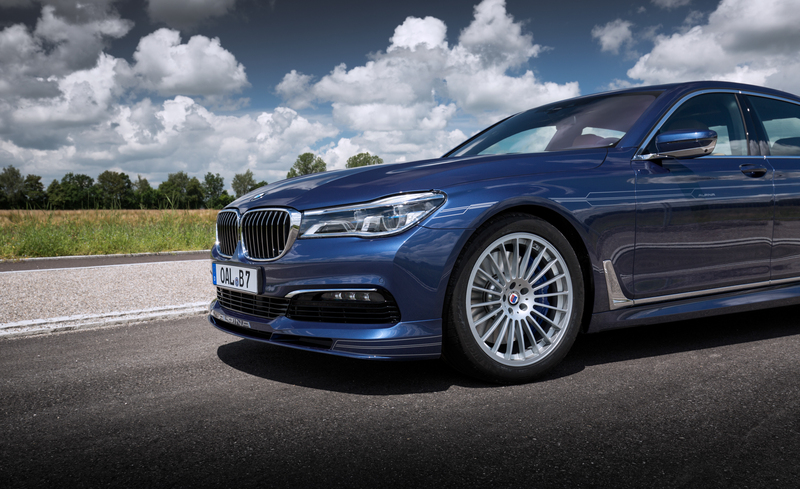 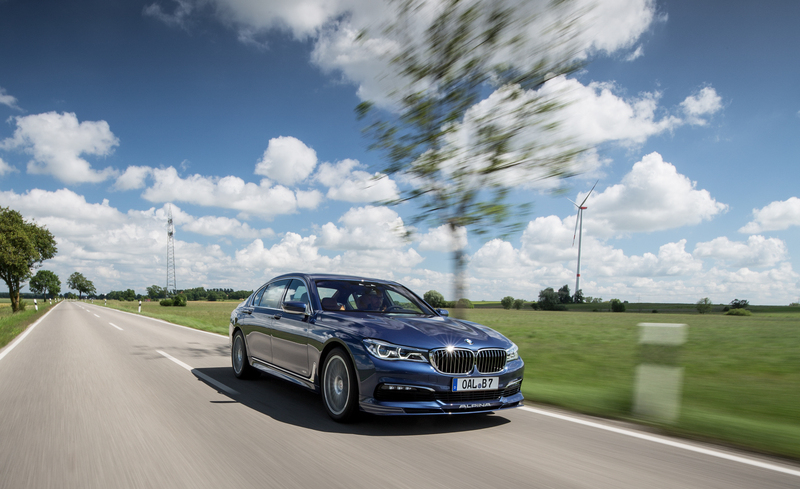 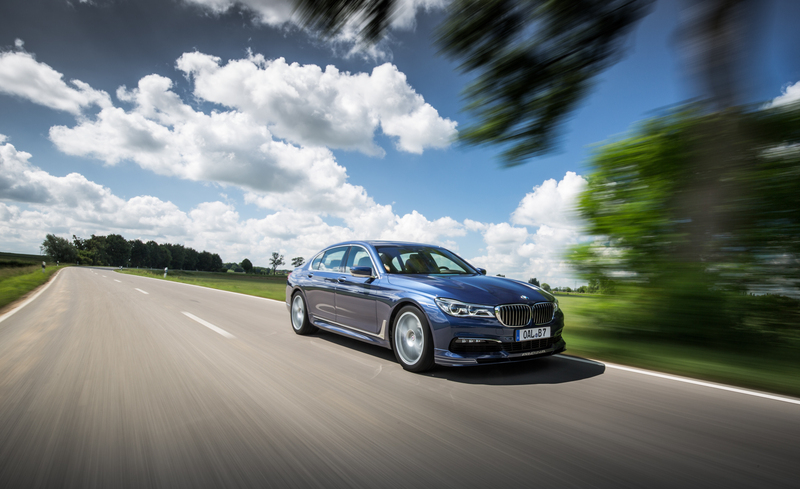 The exquisitely hand–finished, limited–production BMW ALPINA B7 xDrive Sedan is reserved for only the most discerning drivers. 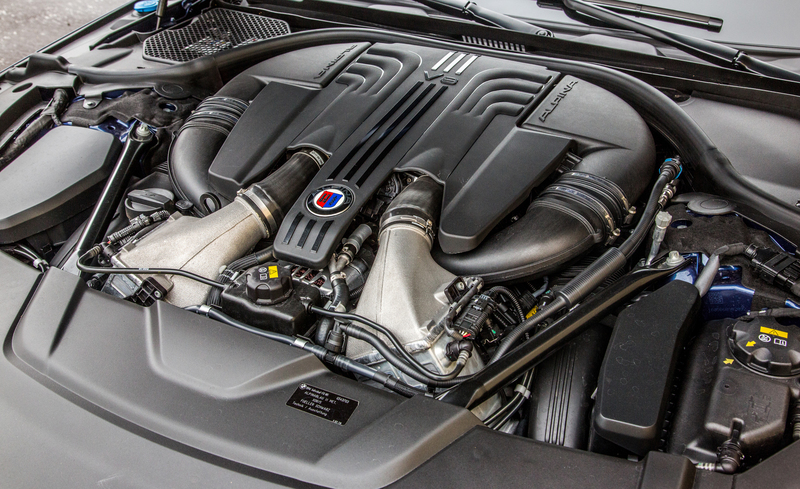 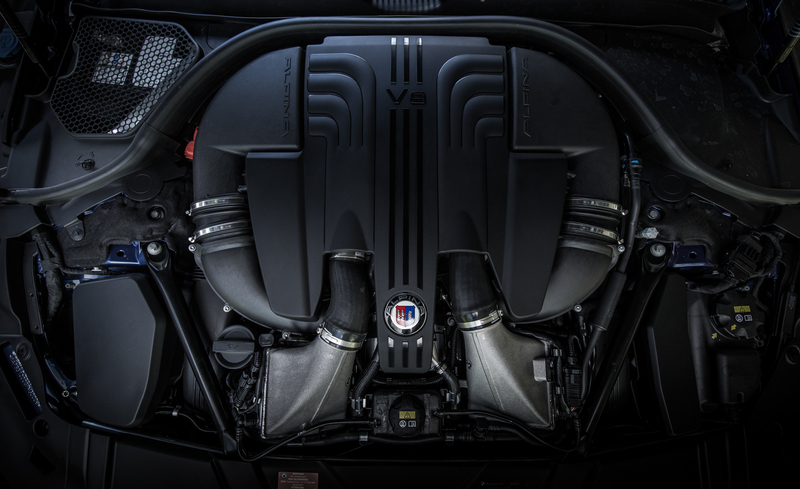 An extraordinarily powerful engine is matched with signature ALPINA elements–proving it's the rarest prize on the road. 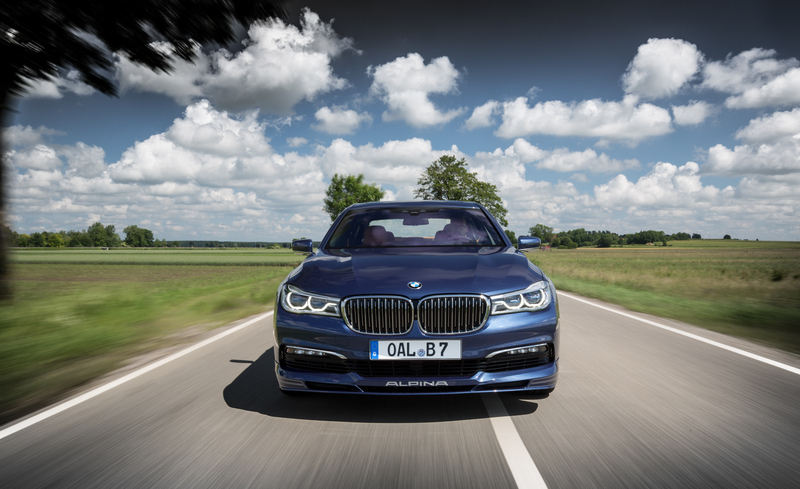 The muscular framework of the 7 Series engine has been refined even further to deliver an astounding 600 hp and 590 lb-ft of torque. 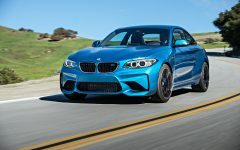 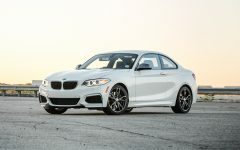 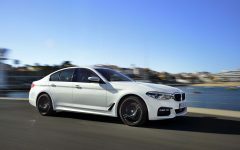 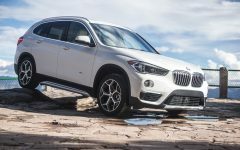 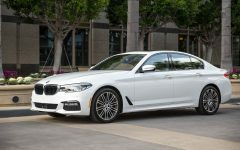 The new-generation Bi-Turbo 4.4-liter TwinPower Turbo V8 is designed to propel this full-sized luxury sedan to 60 mph in a 3.6-second blink-of-an-eye. 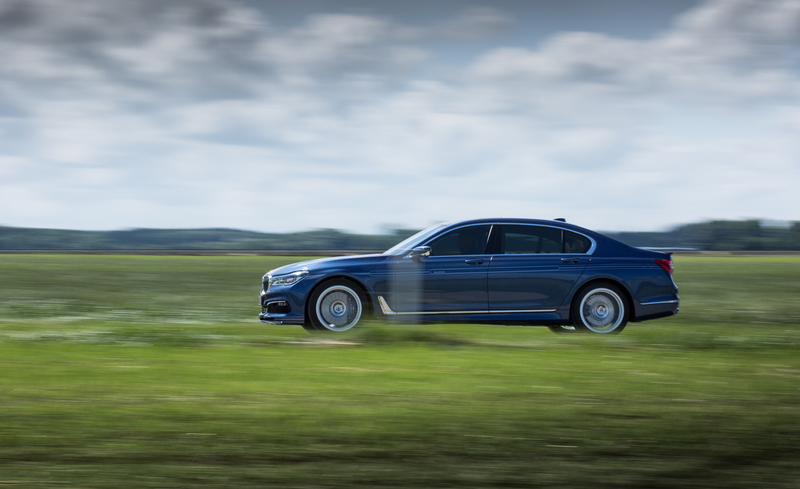 Athleticism combines with elegance in the impressive BMW ALPINA B7 xDrive Sedan. 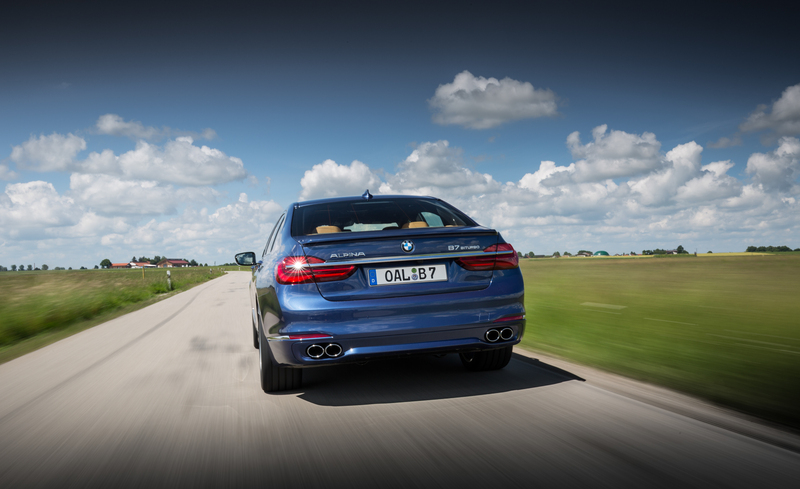 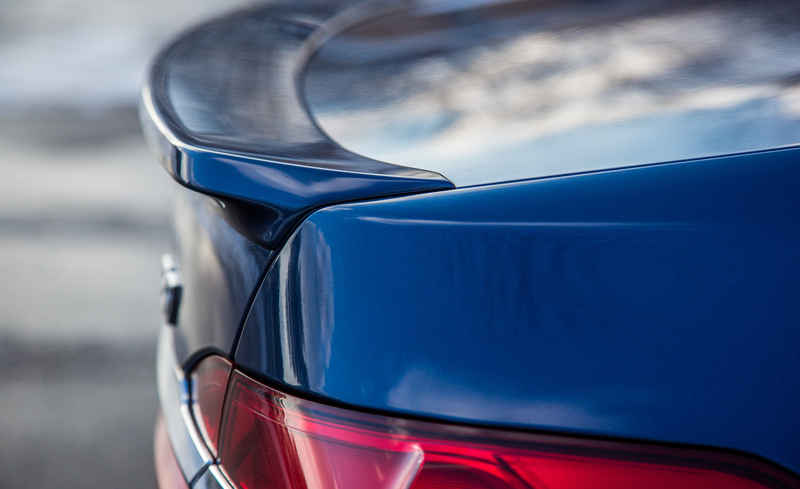 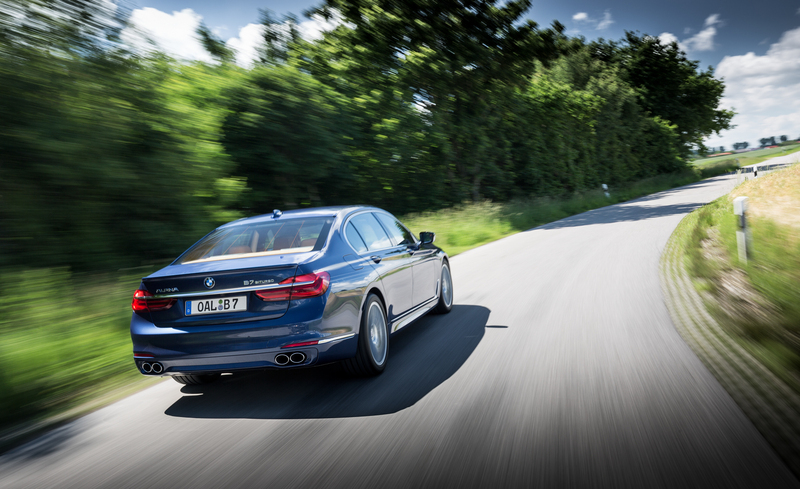 Sleek, aerodynamic elements and the striking ALPINA design reflect powerful performance, from the aggressive front and rear spoilers to the elliptical twin tailpipes. 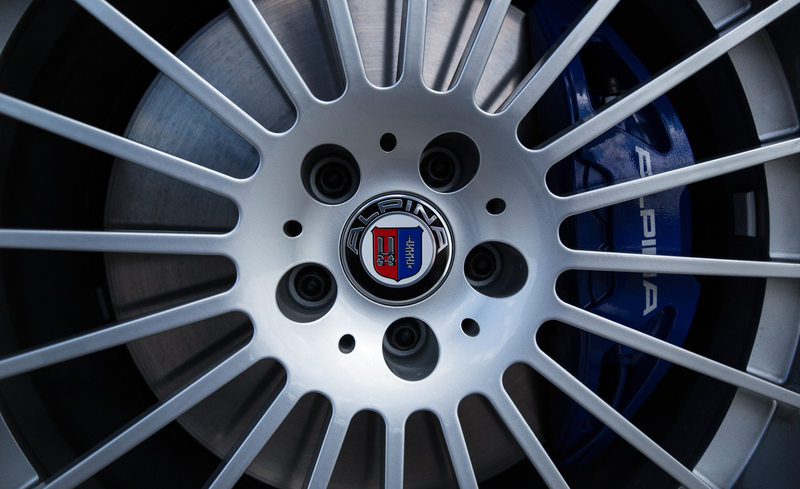 Iconic signature 20-spoke aluminum wheels, in 20–inch and 21–inch options, add to the dynamic look. 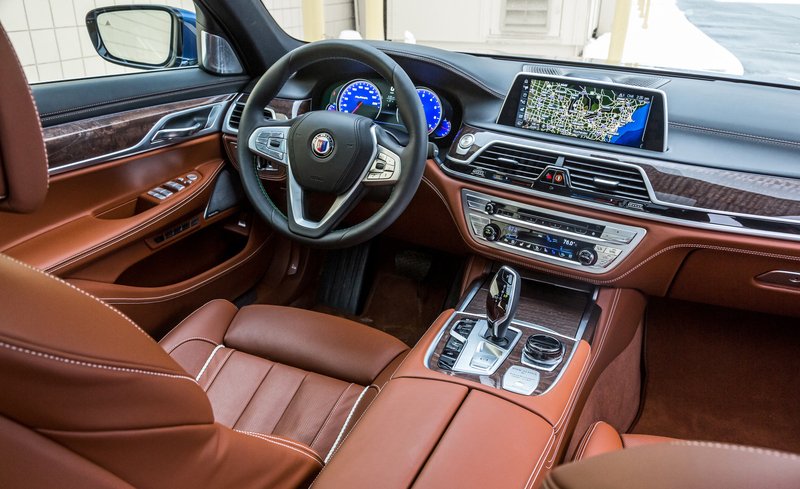 The ALPINA B7 interior engulfs you in splendor. 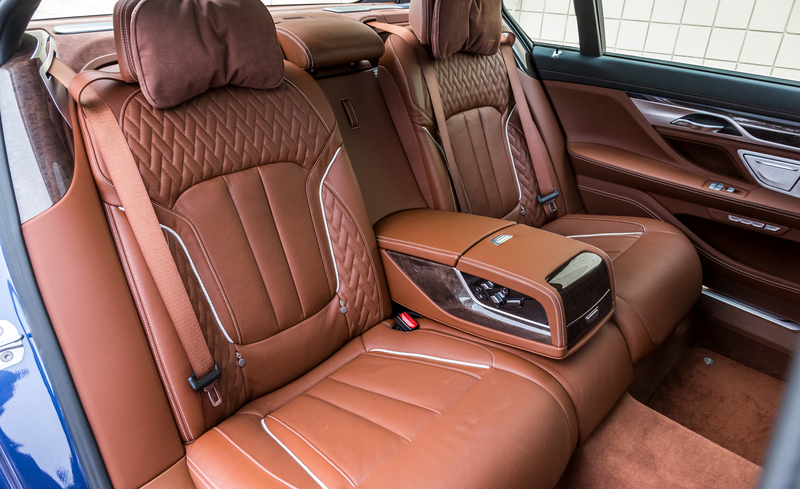 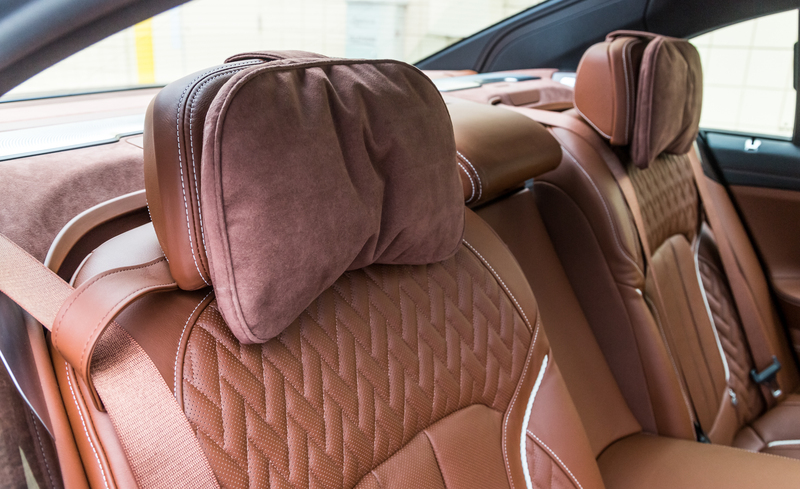 Rich wood trims complement hand–finished leather upholstery for unmatched elegance. 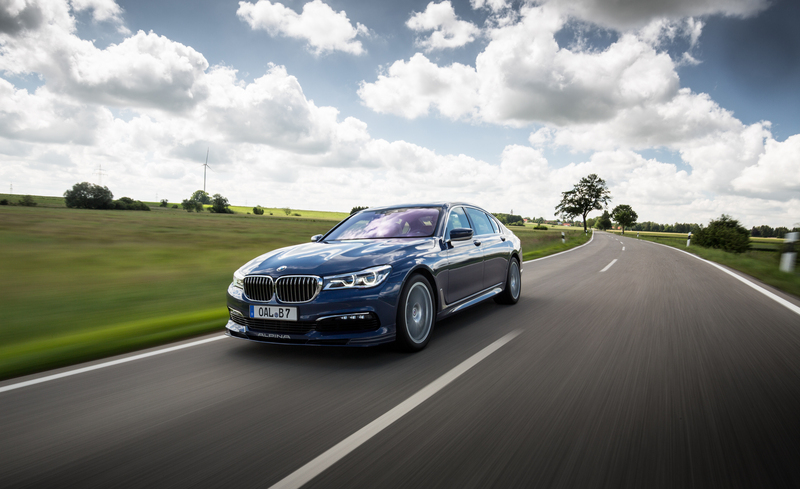 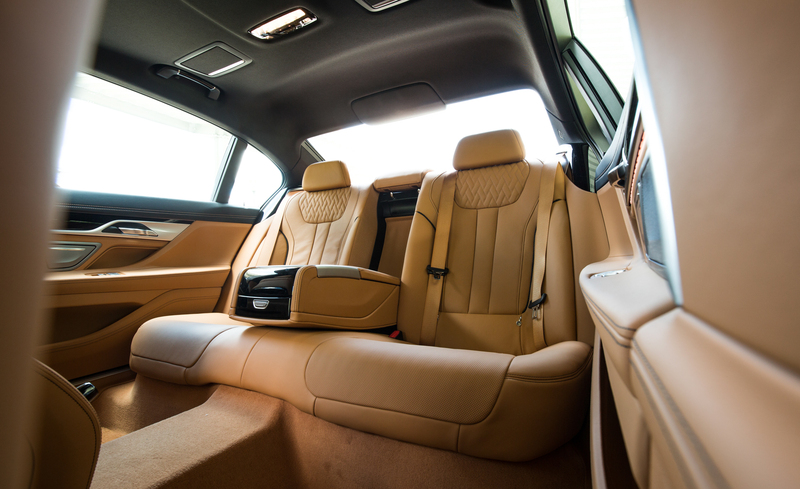 The 20–way power multi–contour front seats and a generous 44" of rear legroom keep you and your passengers supremely comfortable in the most luxurious 7 Series yet designed. 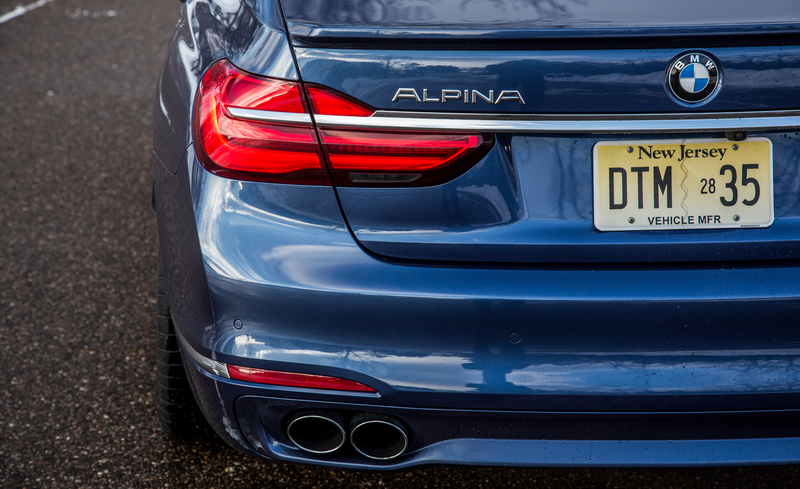 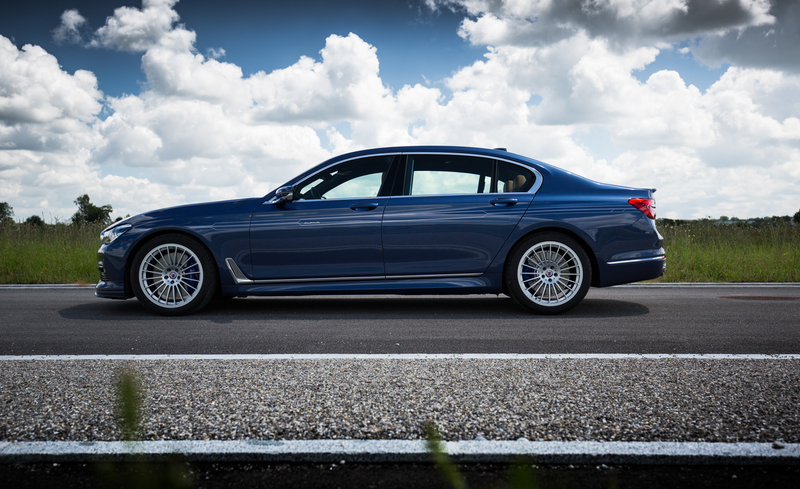 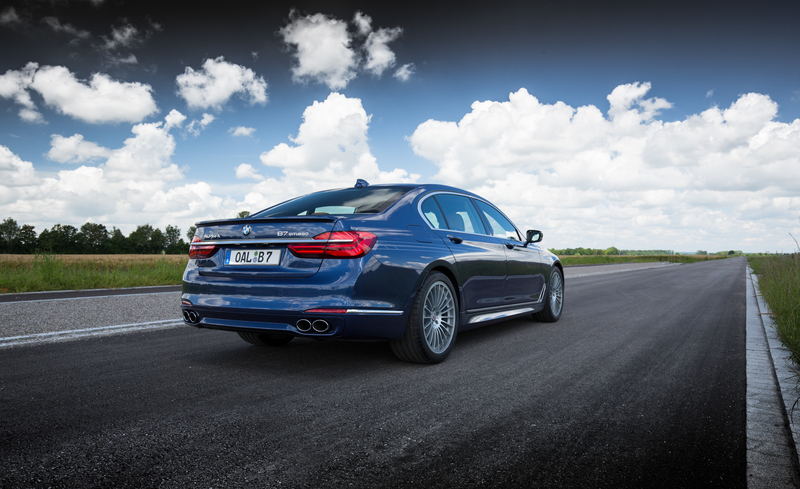 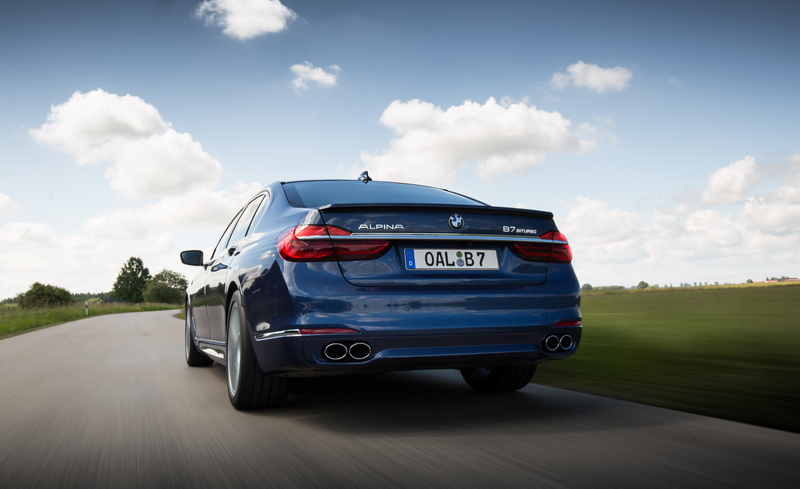 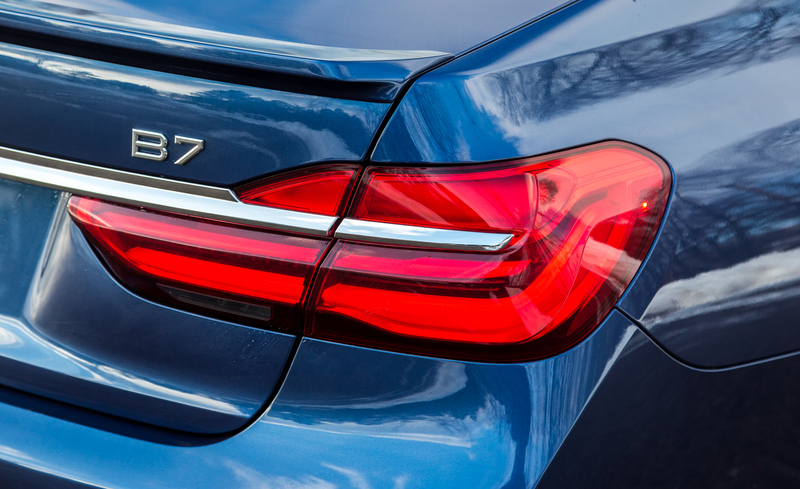 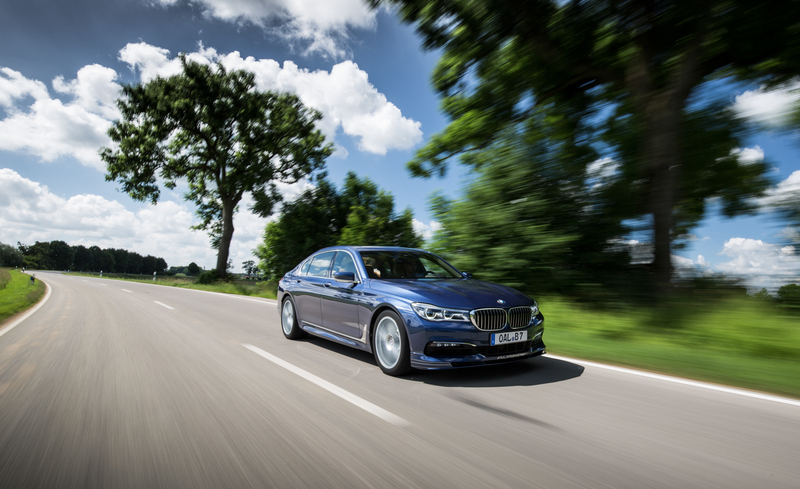 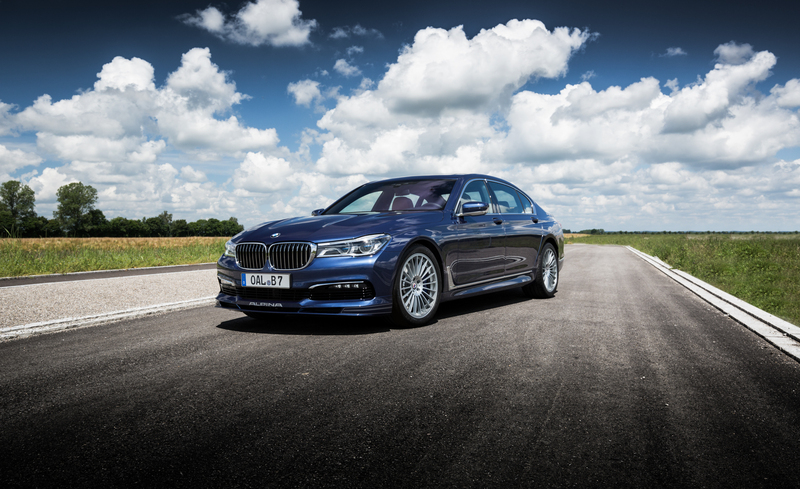 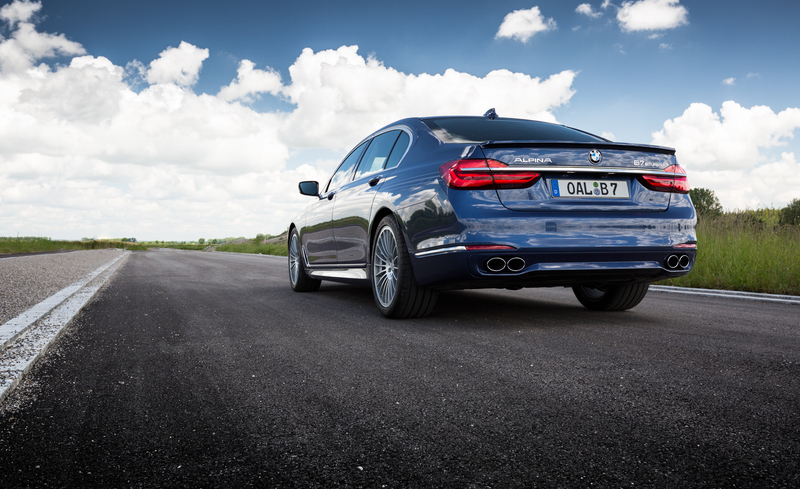 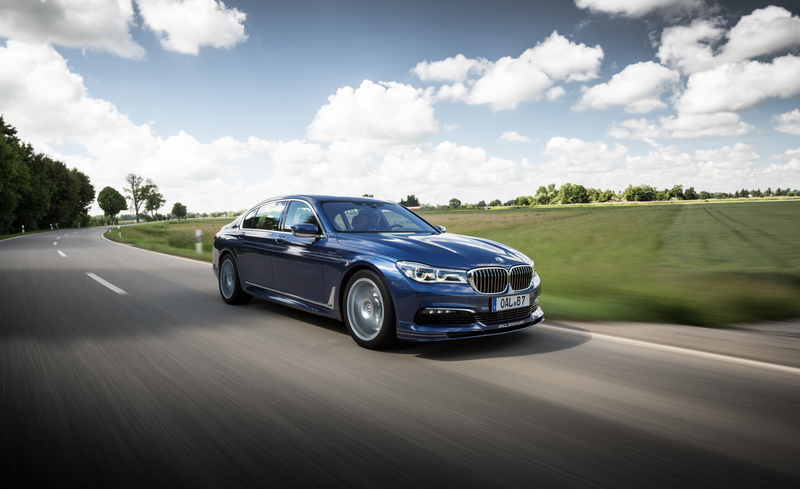 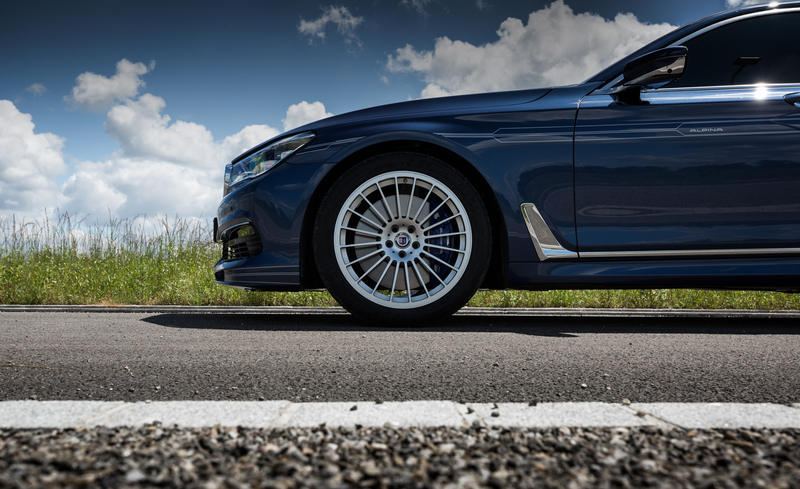 The ALPINA B7 reflects your refined style. 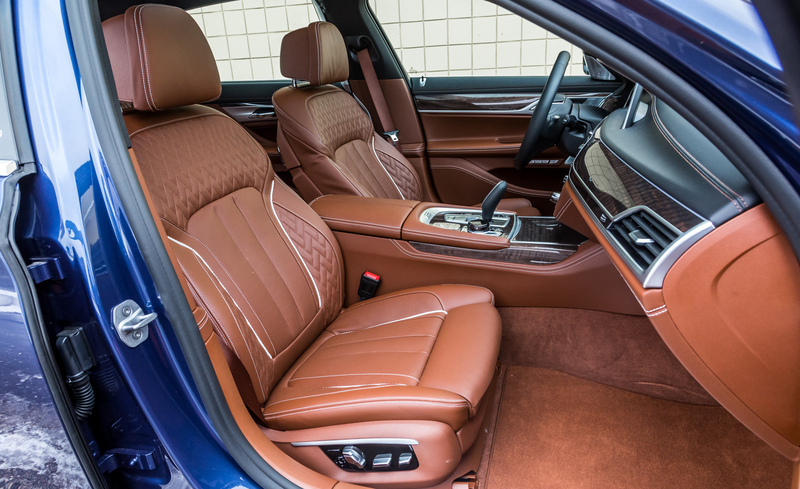 Choose from an array of leather, paint and trim combinations to create a one–of–a–kind masterpiece. 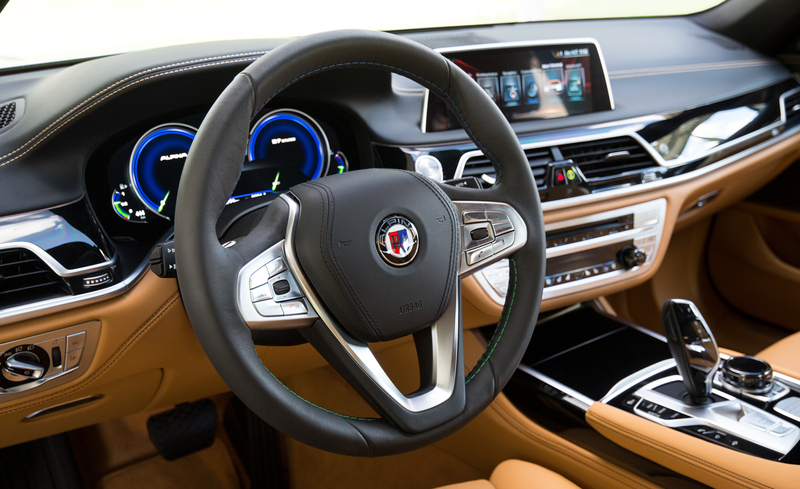 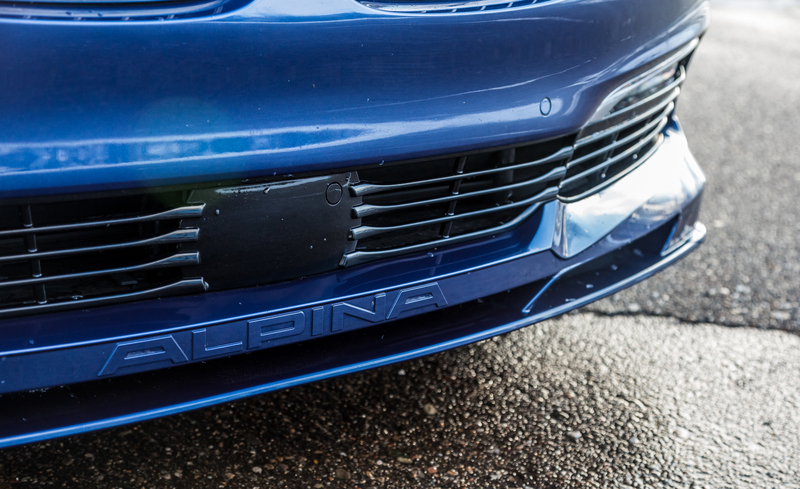 Your personal touches are complemented by ALPINA badging — the emblem marking the engine, hand–stitched LAVALINA leather steering wheel and the unmistakable ALPINA logo. 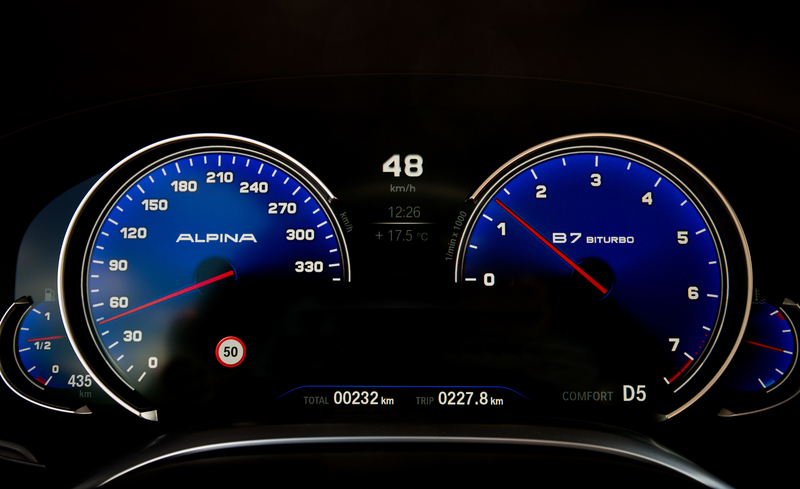 The new ALPINA Switchtronic 8-speed automatic transmission handles high-end torque and delivers comfort in all situations. 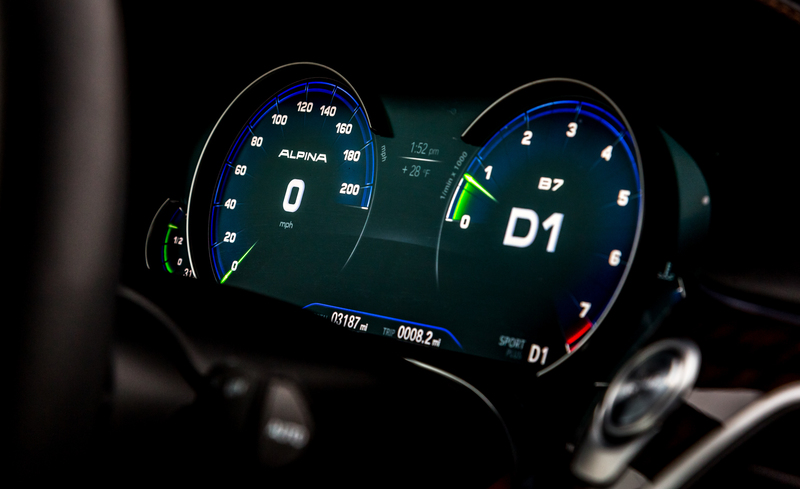 Driving Dynamics Control lets you fine-tune your ride at the push of a button, including a special ALPINA SPORT+ Mode that adjusts your settings to take performance even higher. 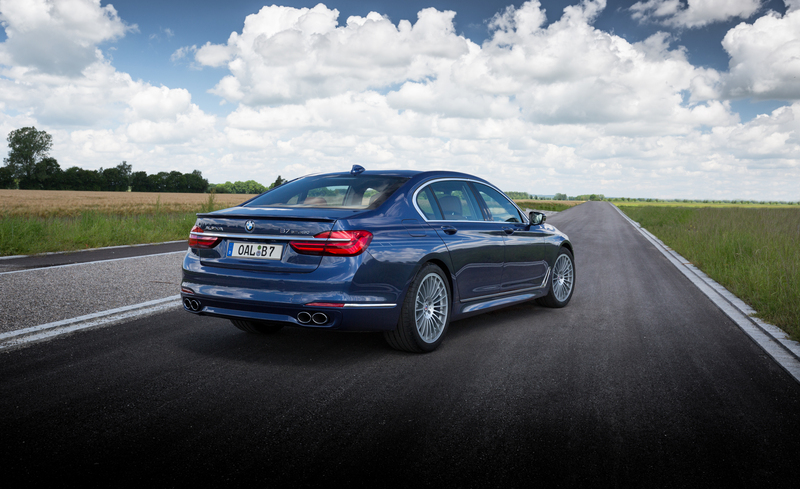 And for ultimate thrills, Launch Control rockets you to maximum acceleration from a standing start. 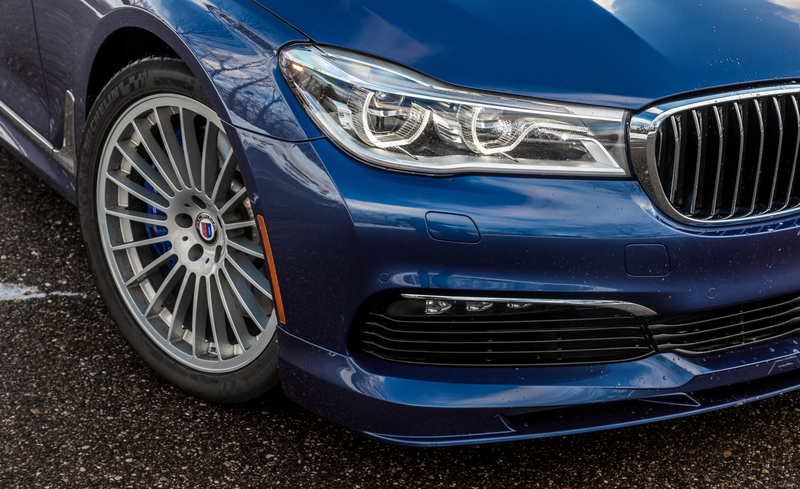 Prepare for blast off. 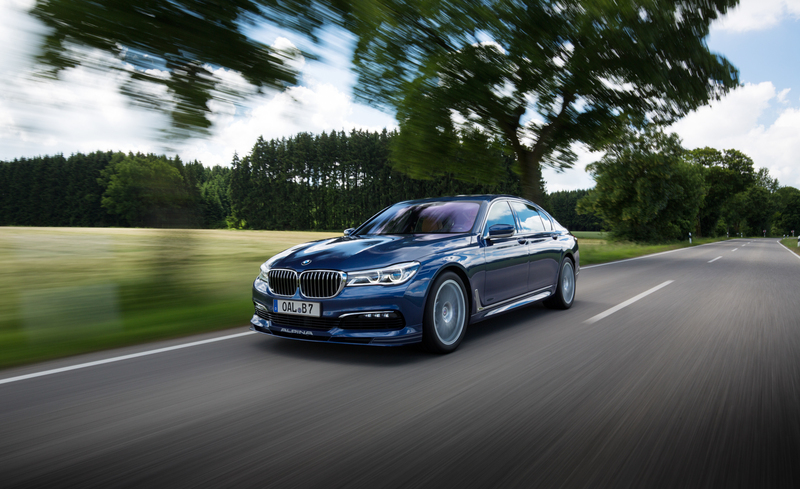 For a truly dynamic driving experience, Integral Active Steering works with the high-performance drivetrain and all-wheel drive system. 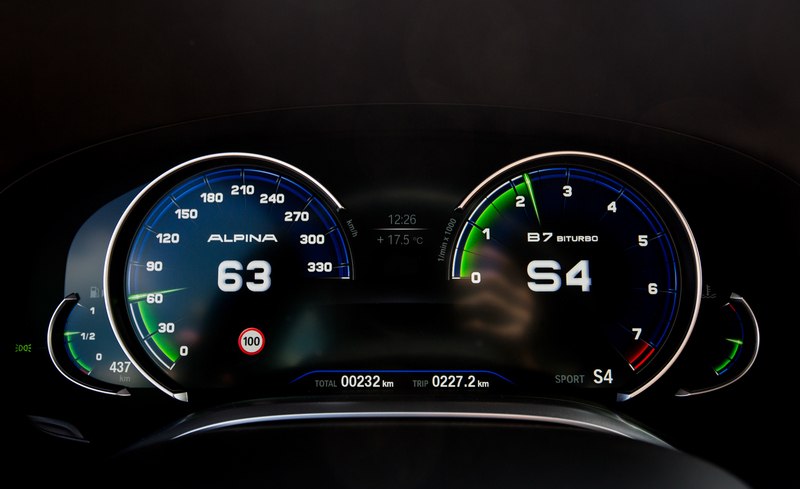 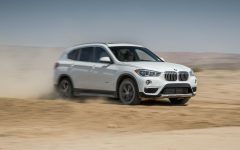 A variable ratio electric steering system at the front axle combines with active steering on the rear axle so the wheels can turn a maximum of 3 degrees. 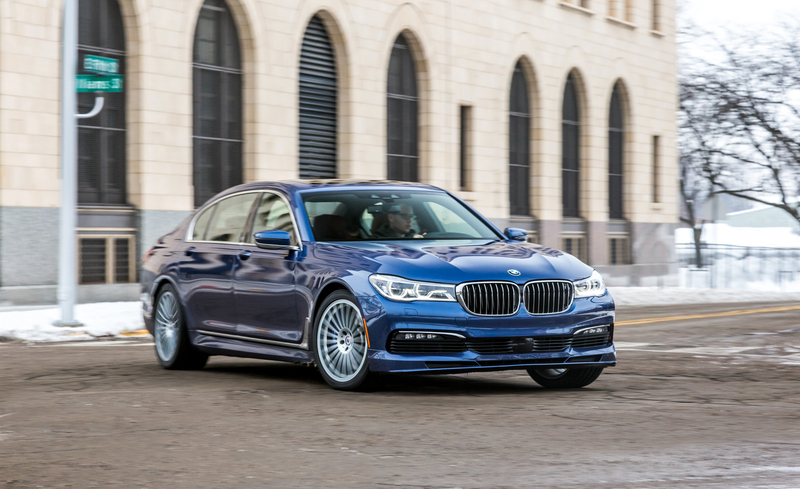 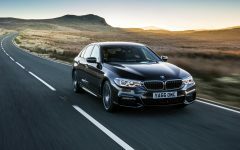 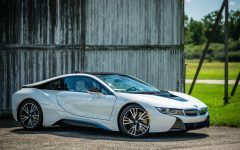 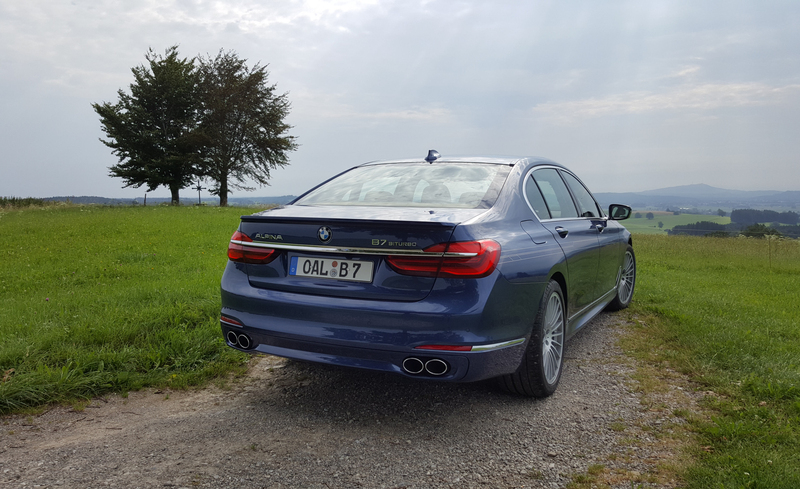 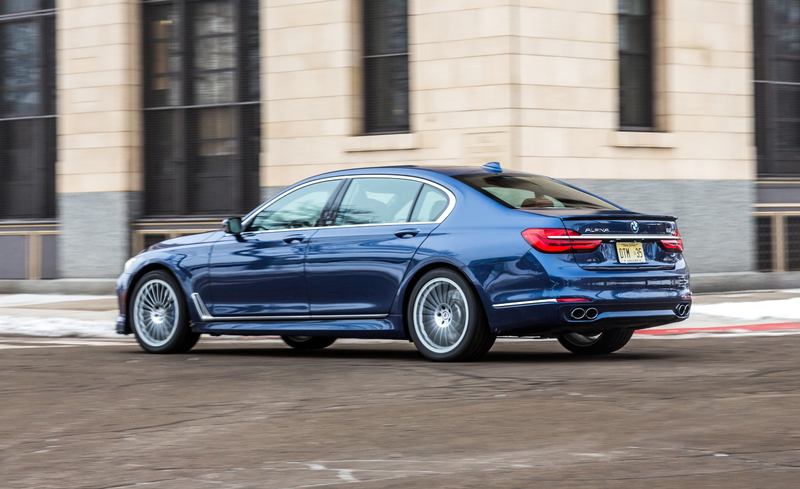 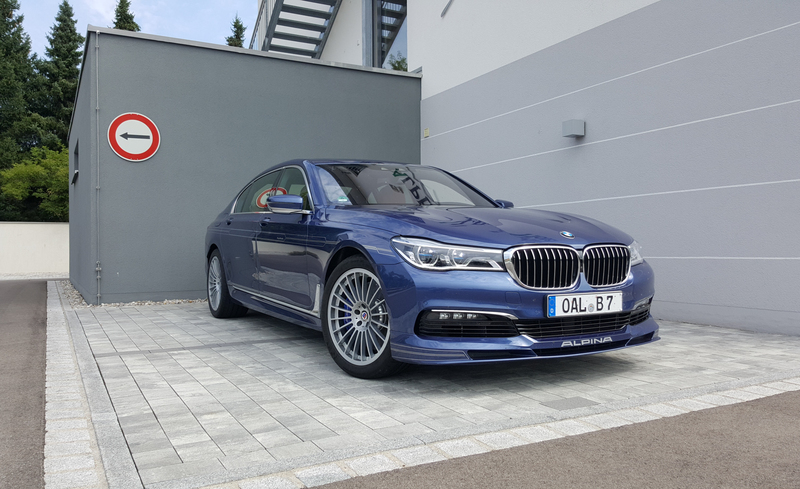 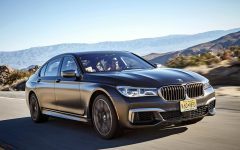 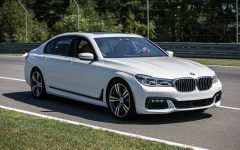 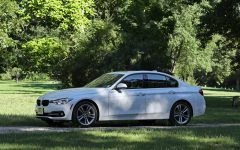 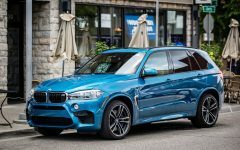 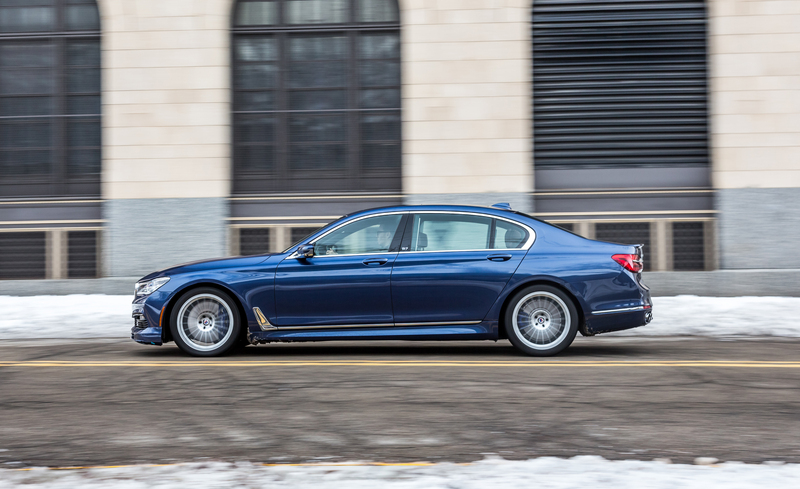 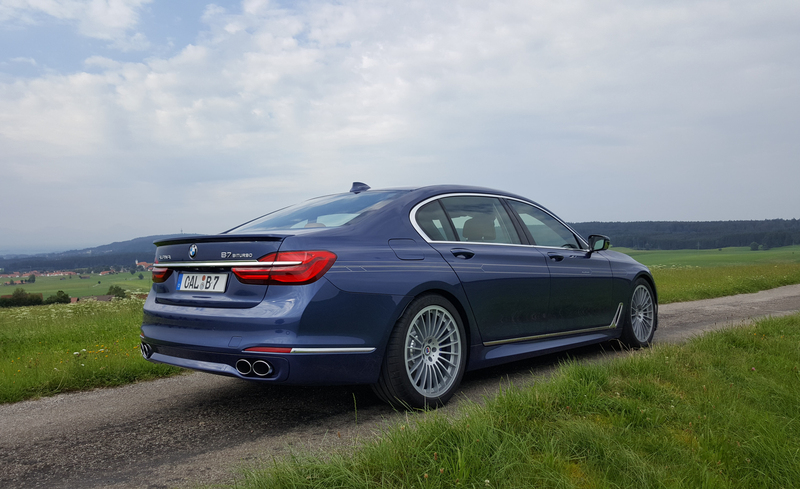 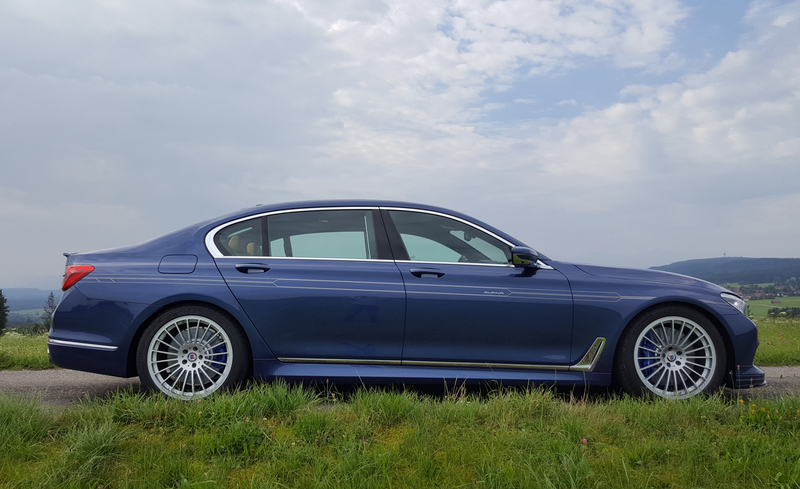 Related Post "2017 BMW Alpina B7 xDrive"